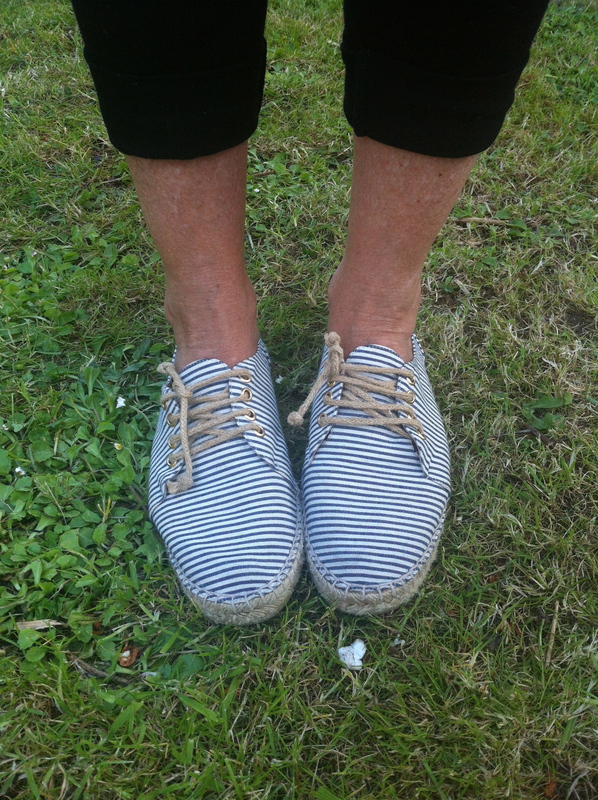 Today’s blog was inspired by my friend Holly’s lovely (and incredibly stylish) mum Joy, who was wearing these gorgeous Jigsaw espadrilles at the weekend. I love Joy’s style; she’s always one step ahead of the game with her brilliant creative eye (she also makes amazing hand-pulled screen printed cushions which you can buy on her Random Retail website here – I highly recommend taking a look! ), so it didn’t surprise me to learn that she bought these shoes last year and they’re sadly not available anymore. 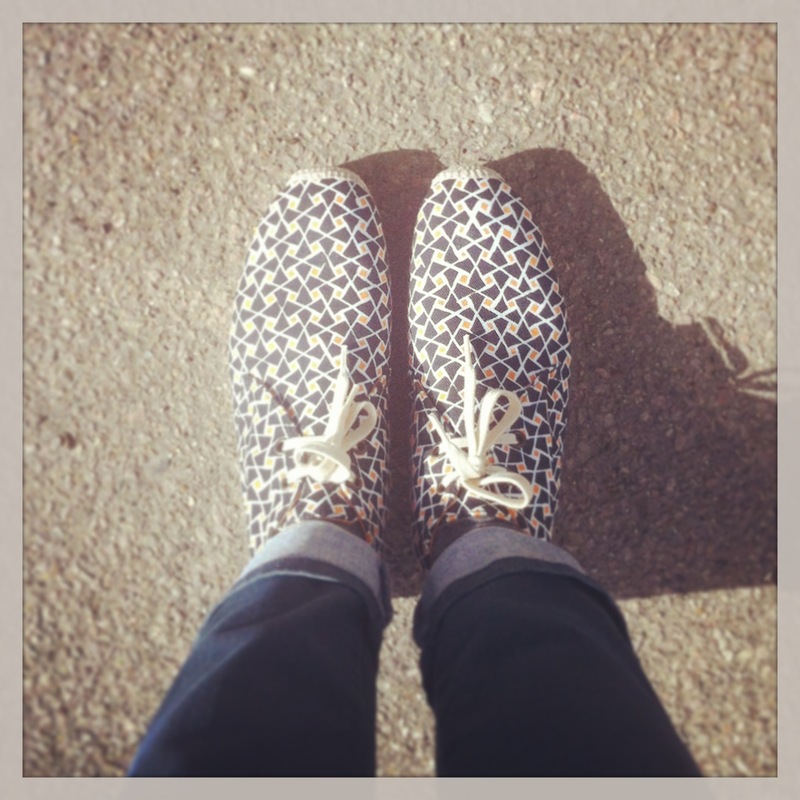 But it reminded me how much I love espadrilles, and it was really about time I did a post on them. 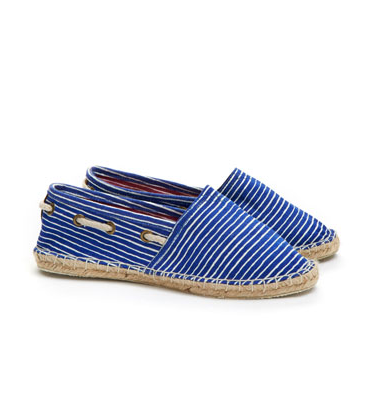 The brilliant thing about espadrilles is that they are usually pretty cheap. The high street has a great offering at the moment, especially of jaunty stripy ones like Joy’s. These are all perfect for lazy summer days at the beach, and leave plenty of change for a Mr Whippy with a Flake or a bag of fish and chips! 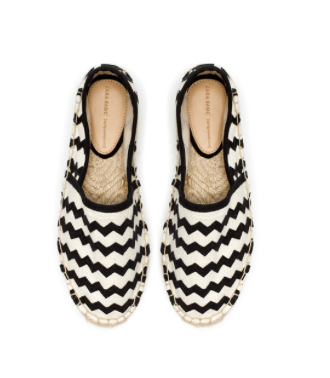 I do think it’s fine to pay a bit more for espadrilles if the design is good enough however, though I’m not talking about the £400 Celine pair I saw in Selfridges recently (yes, FOUR HUNDRED POUNDS!). These particular beauts are from one of my favourite brands, Penelope Chilvers, who is somewhat of a specialist in the espadrille sole. These are a bit special to be kicking off at the beach mind you! I’ll be taking better care of them than that. Although Penelope herself told me that espadrilles should get thrown away at the end of the summer, I have a pair of hers that are still going well into their third year, so they really are well made (and therefore worth that extra investment!). 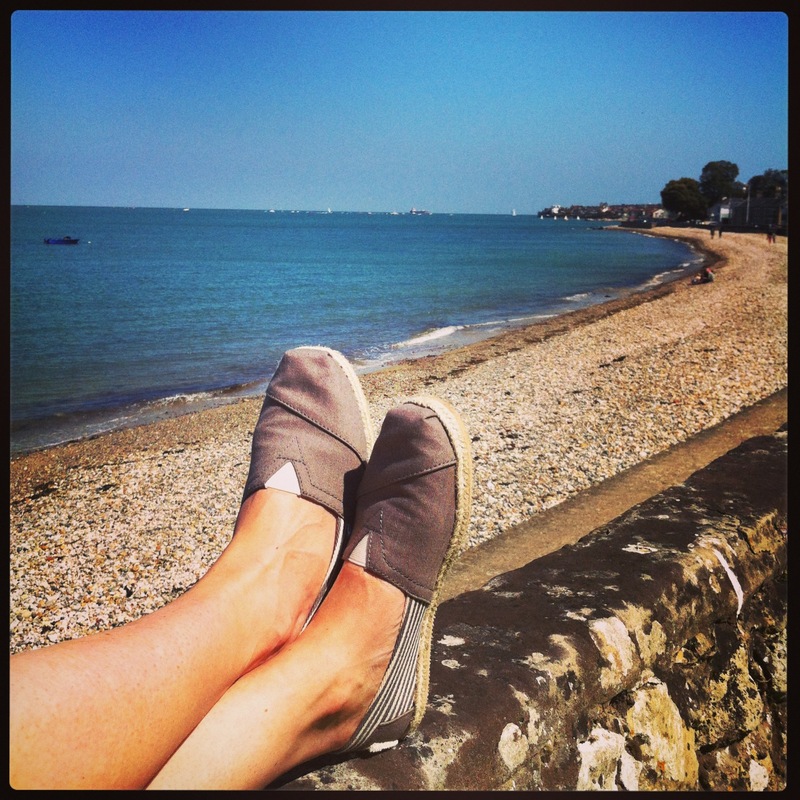 The espadrilles that half of you probably own anyway – TOMS – are SO comfortable, and have such a great ethical story (read more about it here), I couldn’t do this post without mentioning them. Plus I took a nice picture of them in the sunshine on Bank Holiday Monday while I was on the Isle of Wight, which would have been a shame not to share. There are dozens of styles and colours available, so there really is something for everyone (my mum has some in yellow, and Mr Brogue is after a pair too). One final espadrille thought for you: if you’re holidaying in France this summer, have a look at the clothing department in your local supermarche when you’re picking up a baguette. 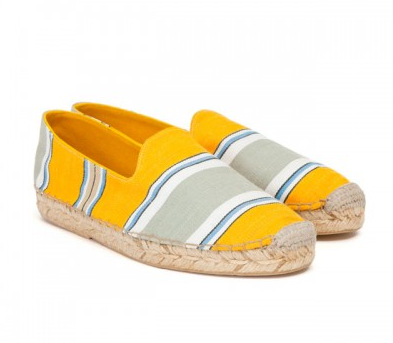 They ALWAYS have a big range of espadrilles for as little as €5. Bargain! !